In order to stay competitive, it is necessary for the online retailers to have a warehouse management system that can provide quick delivery, improve the order accuracy, cut out labor cost and ultimately increase customer satisfaction and increase the bottom line. A good warehouse management system effectively manages business operations and provides controllable order processing (pick-pack-ship) resulting into efficient orders management. With a warehouse management system in place, order handling mistakes are reduced, customer satisfaction is increased and ultimately the bottom line. So, what are the top features an ideal warehouse management system should have? If the system is not fully integrated across all departments, ranging from inbound freight compliance programs to customer service, problems are surely to arise. However, a good warehouse management solution must have the scalability to be used across your enterprise to reduce data entry mistakes, make information available across all the branches, track back incomplete/inaccurate orders and much more. Is your warehouse management software capable of integrating seamlessly across the enterprise or you are using human resources to manually transfer and capture data? A good warehouse management system comes helps to track inventory levels and shipping details in real-time across all sales channels. This enables the companies to know about the stocks that are low and the stocks that in excess. The company will be able to reduce the workload in collecting, managing and reviewing information from the warehouse, help the managers to gain 360 – degree view in their current operations and will be able to monitor all the business processes. With the increase in sales, manually processing of orders becomes prone to errors and may even result in more turnaround time due to increased workload. Integrated warehouse management software enables you to automate the order processing by picking, packing and shipping orders and invoicing your customers within a matter of few clicks. For the warehouses handling special type of products, warehouse management solution often includes special inventory management tools such as perishable goods tracking, FIFO and LIFO protocols. System backed with digital planning tools keeps the product delivery fresh and decreases stock hold, thereby increasing sales and profits. A good warehouse management system must be understandable and easy to use. But, when an organization is looking to develop advanced function-oriented warehouse management system, this feature is often overlooked. At the end, they end up developing a complex system which needs more learning and knowledge and it may happen that the operators may not be able to cope up with it. So, a good warehouse management system must be simple, easy to navigate and require less training time. 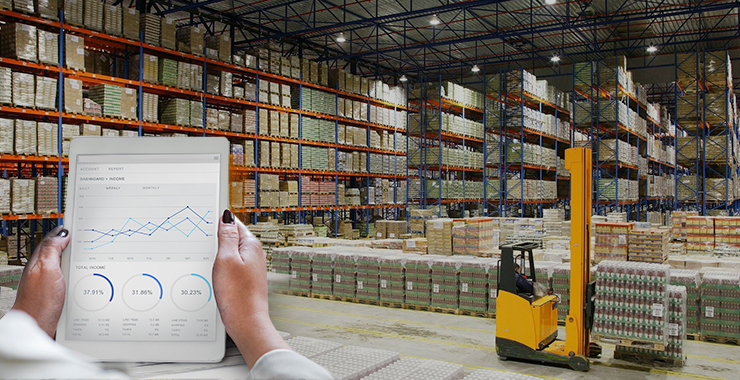 A good warehouse management tools provides advanced analytics which is important for making better business decisions. System generates reports which provide clear picture of entire warehouse management cycle. High quality of data helps the decision makers to figure out the changes required in the business processes to increase efficiency. Moreover, having the data of multiple sales channels and reports on a single dashboard, helps to identify the new opportunities. One size fits all isn’t a solution that is going to work for your business. Moreover, day by day orders you receive keeps on increasing, so there is always a need of the system that is robust and works as per your business requirements. Off the shelf software are made for the mass and might not have the features that you require that can manage all the business operations. One size fits all software may not be integrated with the other system and ultimately you will fail to manage your business functions and you will be left with costly overages, impacting your bottom line. Ready-made software can get outdated or obsolete over a period of time. But, bespoke software can adapt to the changes according to the latest trends in your industry. Inventory Management Software: Features to Look For!